StreetSyncTM BasicThe absolute simplest means to create daily dynamic route plans. Notice: We instead recommend the newer StreetSync Standard product. StreetSync Basic is fully supported but its feature set has been carried-forward and expanded upon with StreetSync Standard. StreetSync Standard offers the functionality previously provided by this product plus much more. If you build new route plans each day then StreetSync Basic was built specifically for you. Multiple routes can be optimized at once, each route is sequenced and therefore your fleet operates efficiently with minimal overlap or backtracking. 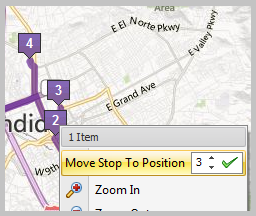 Map display and editing tools let you validate your routes and edit them as you desire before they are finalized and presented to your drivers. The program's digital maps are online and are updated automatically and frequently. Route plans can be printed, exported, or sent to built-in navigation and mobile device formats. StreetSync Basic was specifically built for organizations that need to build optimized route plans each and every day. Our subscription pricing model means no large up-front expenditure. You can therefore attain a return on investment immediately. StreetSync Basic seeks to build routes that are balanced based on the factor you choose. 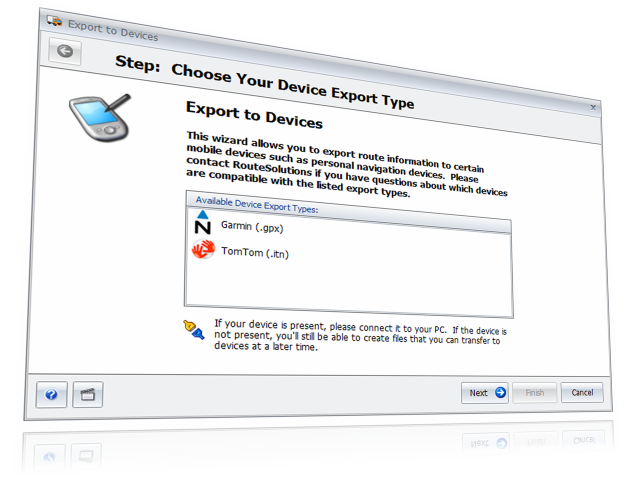 Built-in export profiles allow you to send routes wirelessly to TomTom WEBFLEET or to your other mobile devices. It's finally time to leave your half-baked routing process behind and to step-up to a multi-route system with built-in optimization, digital maps, and editing tools. StreetSync Basic makes it a breeze to import your data to be routed, carry-out your route planning, and to effectively communicate your route plans to drivers via navigation devices, smartphones, or printed manifests. Your office staff can breathe a huge sigh of relief as routing processes that used to take hours can now be done in mere minutes. 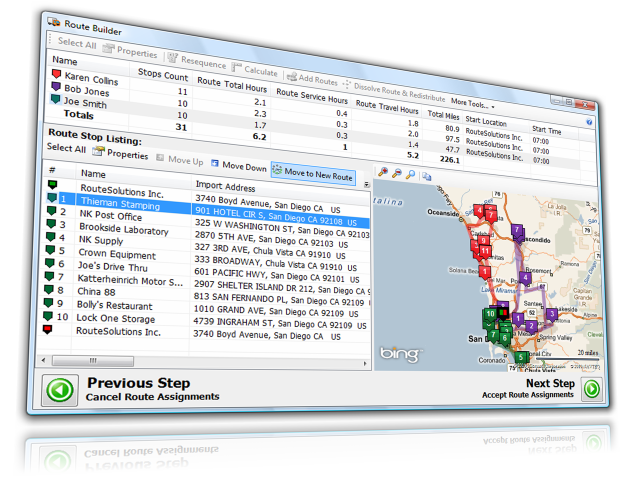 Routes can be measured, visualized and verified in advance of activity. Use data from databases, Excel, text files, etc. Why choose 'Basic' instead of the other StreetSync versions? The Basic version tends to fit best when you have to build a handful of dynamic routes each and every workday. The routes you build would need to be primarily geographically optimized and not have many other complications. Standard may be a nice step up from Basic if you have recurring routes or need your customers to be saved long-term. And Pro may only be needed if you require the advanced features such as time windows, capacity management, etc. Can I route multiple routes at once? Each to multiple stops? Indeed! There are license levels (2, 5, 10, etc.) that dictate those limits and you can route 100+ stops per route as well. The program sequences all stops to avoid overlap and backtracking. How will I get it to route my data? Built-in wizards and tools make it a breeze to link to and import your data regardless of format. For example, we import from Excel, SQL Server, Oracle, .csv, Access, text files and more. What can I do with the optimized routes I create? You can export to various formats such as Excel, Access, TomTom Telematics, TomTom, Garmin, XML, Google Navigation and more. The program has built-in printable reports as well. The program seeks to build routes that are both balanced and clustered and therefore will reduce labor hours and reduce driving distances by minimizing overlap and backtracking. Typically overtime will be reduced as routes run more evenly, driving distances will be minimized, and customer service will improve thanks to realistic ETAs. StreetSync Basic is available in a monthly subscription (SaaS) license. 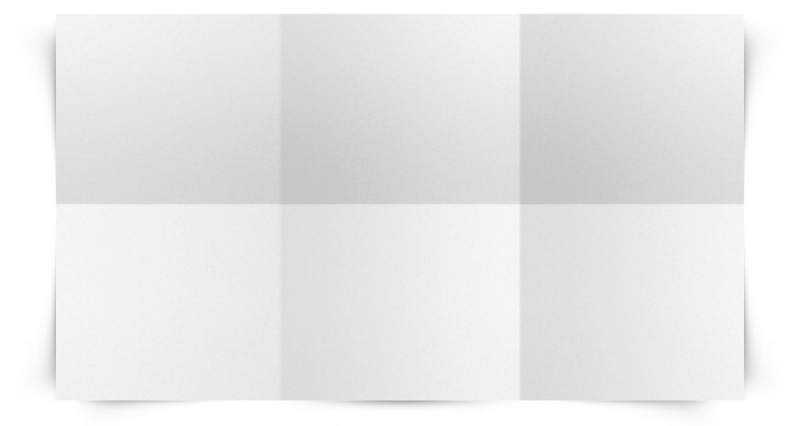 This allows for a low up-front cost and no-added-cost support and updates during your subscription. Active subscribers are fully supported at no-added-cost via 7-day email support and 5-weekday phone support. Our maps are hosted online and therefore are updated automatically and frequently. StreetSync Basic requires a PC and is typically used by 1 person in an office setting. The many routes that are created can be used in various formats such as iOS, Android, Mac, TomTom, Garmin, and more.